Bernheim Original, although it looks and tastes like bourbon, is not in fact bourbon. 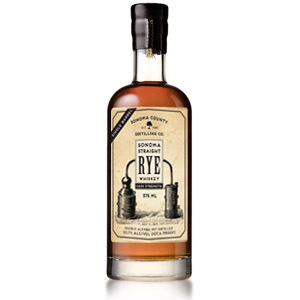 It is a straight wheat whiskey and thus shares with bourbon an aging (of minimum 2 years) in new charred oak barrels and cannot contain flavoring or coloring agents. 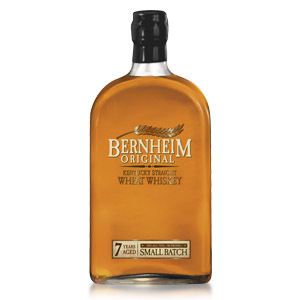 Bernheim Original, owned by Heaven Hill Distilleries, is made primarily from soft winter wheat, aged at least 7 years, and is bottled in batches containing no more than 100 barrels (thus the “small batch” designation). 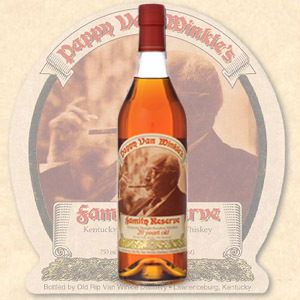 Note that this is distinct from “wheater” bourbons like Pappy Van Winkle Bourbon, W.L. Weller 12, Larceny, and Maker’s Mark, which use wheat as a flavor grain (instead of rye). Bernheim’s mashbill contains at least 51% wheat, with the remainder being corn and a small amount of barley for enzymes. Bernheim Original is distilled at the Heaven Hill Bernheim Distillery in Louisville, Kentucky, and is aged and bottled at the Old Bernheim Distillery site (which no longer distills) in Bardstown, Kentucky. 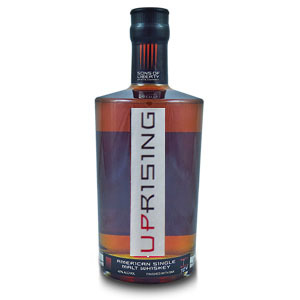 The whisky is named after the old distillery (and the distillery’s own namesake, the Bernheim brothers who founded the I.W. Harper brand and the original distillery). A few years ago Heaven Hill bucked the NAS trend by adding an age-statement to the label of Bernheim Original during a redesign, thus turning an NAS whiskey into a 7 year-old whiskey without changing the bottle contents or, drumroll please, the price! Good on you, Heaven Hill. Bernheim Original has been on the market since 2005. Nose: A piercing mix of sour cherry, fragrant blooming fruit trees, and orange peel. Under that, a layer of toasted almonds and a heavy wheaty graininess like cake dough (or poundcake). There is a tinge of acetone, but it is thoroughly overpowered by the robust fruit and grain aromas. Palate: Thick body, with more cherry (syrup) and orange (bitters). There is an unctuous honey-like sweetness, somewhere in between processed honey and molasses. Brown sugar and smoky charred oak round out the flavor. Finish: Medium-long. Sweet and nutty, fading slowly with candied nuts and then fresh walnuts. A hint of bitterness, but not too much. With Water: A few drops of water reveal an interesting licorice note, as well as the usual buttercream/vanilla aromas. No change in taste or finish. Water optional, especially at the very-drinkable 45% ABV bottling strength. Overall: A tasty whiskey, with a lot of the sweetness and oak flavors one would expect from a 7 year-old spirit in new oak casks. There’s a nice balance of tart fruit, florals, and heavier sugary notes, and it’s neither cloying nor does it ever taste fake, like a lot of “corn syrup” bourbons. I can also say from experience that it makes a very refined cocktail. It is lighter in character than most bourbons. This gives my current house bourbon, Eagle Rare 10, a run for its money. At a lower price point, I could easily switch to this without any remorse. If you like the Bernheim Original, you should track down its older brother the Parker’s Heritage 2014. It’s a 13 year old version of the Bernheim Original. Looking forward to trying this! Just wonder what cocktails you found it played well with. Cheers! I liked it in an Old Fashioned – it’s gentle enough to be easily sippable, and you can sit back and taste the whiskey instead of just tasting oak and alcohol, like some bourbons. I wouldn’t use it in a drink with a ton of sugar, because the sweetness would overwhelm the subtle notes of the Bernheim. Best for simple whiskey-centric cocktails. At the time, it was the best bourbon I’d tasted (out of maybe 10). Now, though, it’s a little corn syrup-heavy for my current tastes, although I agree that it’s an excellent deal (then as well as now). Oh ok. I saw Vintage 2000 and was thrown off. Smh. Glad you liked the Berhheim! As a (mostly) Scotch drinker I thought it was a nice change from the typical profile of your rack-grade bourbon and I appreciated the sweetness, sophistication, and the age statement! Would cheerfully buy again. I love bourbon. I drink it strait with no ice. My favorite is Woodford. I always try others to find a new favorite. The delivery guy at my liquor store told me to try this bourbon. My honest evaluation of this is……terrible. i will never buy this again. I would drink Jim Beam or Jack Daniels any day over this stuff. Probably the worst I’ve ever tasted. You know this is no bourbon right? Maybe you disliked it because you were expecting bourbon “flavors”? What did you dislike about it? I know it’s all about taste and preference, but am curious to know what made you hate it so much. he is obviously an entry level whiskey drinker who has not refined his palate yet. I mean Woodfird is a fine bourbon. As a daily drinker it is more than serviceable, but as a favorite? Methinks he may have not have been exposed to a whole lot. Mostly a rye drinker but saw the wheat on the label and thought I’d give it a shot. Great right out if the bottle. I drink all my drinks neat and this one is great for the money and can hold it’s own.